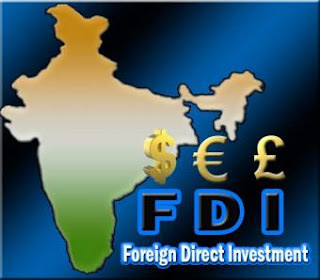 The hot topic now in India is FDI (Foreign direct investment) in retailing, any other events or issues other than that are totally irrelevant in the eyes of our politicians and majority of the media. The UPA government is praising the FDI in retail as a holy angel that will fly down to India to save all its farmers and the poor. The corruption scams, Maoist insurgency, caste based violence, farmer suicides, outrageous increase in child malnutrition rate, savage increase in molestation cases especially towards under aged children, the rocket increase in commodity price, all these issues are totally out classed by this foreign angel. FDI is the next big thing that is going to happen to this country that is the catchy tag it has on its head, the infrastructural development that it brings to the nation will revolutionize production and consumerism. It is evident that the latter will happen because we Indians always admire and value what others offer more than what we already have here but will this bring any dramatic change in the production sector. For that to happen our manufacturing and agricultural sectors should be modernized and well organized such to compete with that of other nations like China, Japan, USA etc, but since no former initiative in any such forms are taken by the state or central government to help this cause the hope in it is bleak. As a result our nation becoming a whole big market for foreign goods in the future is not far from reality; it’s an irony that even after decades of foreign rule and another decade of fight for freedom we are still under the influence of our ancestral weakness. Can the Foreign Direct investment help the common people in India, it may or may not, only time will tell but it is definite that it will more than help the power class (the billionaire -millionaire class) here to gain more power over the nation and its people. We are after all living in a country which only gives its citizens choices instead of freedom, as it is rightly said that democracy is the greatest deception which gives everyone the illusion of freedom. Here are some comments from Americans that I read about Walmart. They cut hours all the time when I quit I was working 16.5 hours a week. It cost more in gas to drive there. Walmart has caused many independent and small chains to go out of business...yes, that can be considered progress. However, the wages of these big-box stores are so low they are not what can be considered a "living wage"---also, most of the jobs offered by Wal-mart, etc, are very low to no skill types of jobs, with little to no opportunity for advancement. Walmarts, etc. will open a store within just miles of another and then cut down the workforce to a bare-bones crew so one will stand in line longer. You might drive 10 miles to Wal-Mart and only need a few things, but the store is so big you will spend 4 times as much time and buy more things than you need. You can buy everything cheaper on-line. I never appreciated Wal-Mart with their predatory price-fixing purposes. The fact that our politicians are financed by these corporations and can dupe and prejudice their way into office is beyond maddening and despicable, it's unpatriotic to say the least. THIS SITE REALLY PAYS ME! SIGN UP UNDER THIS LINK AND EARN FASTER! YOU CAN CHECK THE PAYMENT PROOFS AS WELL!